Location: 8 Capella Court, Langton Cross, Newbridge, Co. Kildare. Please call (01) 614 7900 or 086 601 1378 for an appointment time. 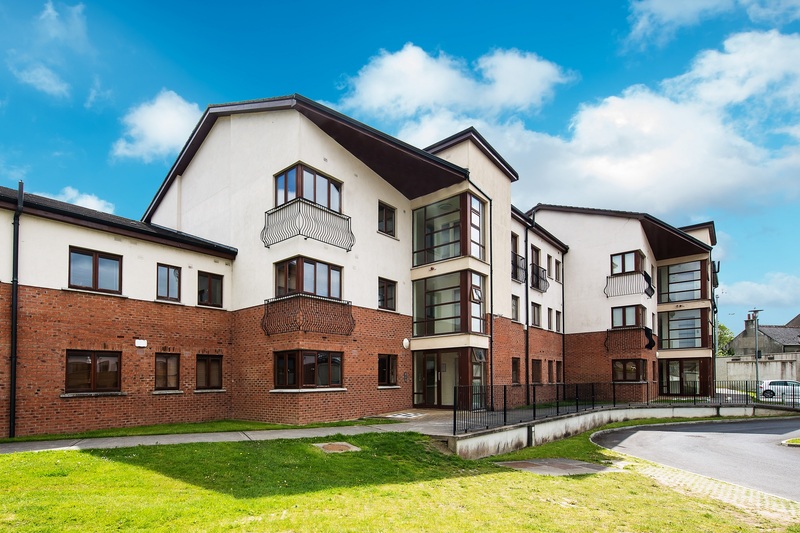 Finnegan Menton is delighted to present Apartment 8 Capella Court which is a wonderful south facing 2 bedroom apartment extending to c.66sq.m. / 710sq.ft. 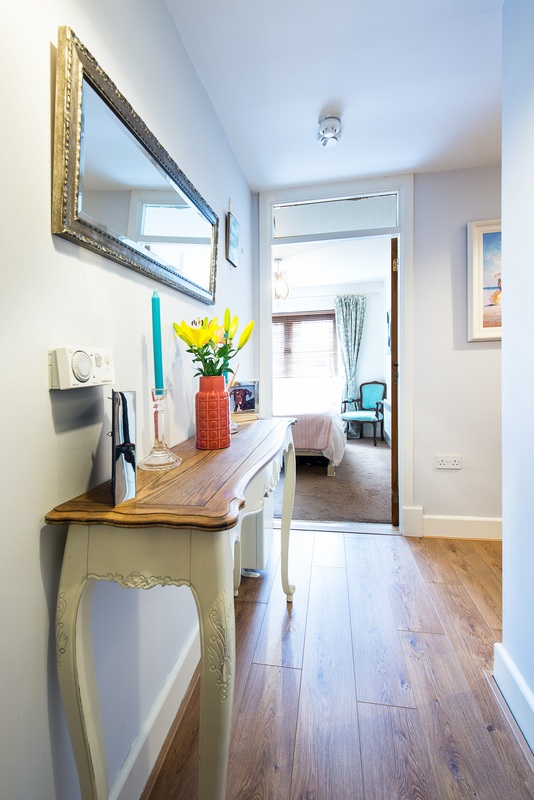 on the ground floor with two double bedrooms, bathroom and ensuite, open plan living/dining area and a galley style kitchen. Capella Court is an attractive development consisting of only 63 two bedroom apartments laid out over three buildings. 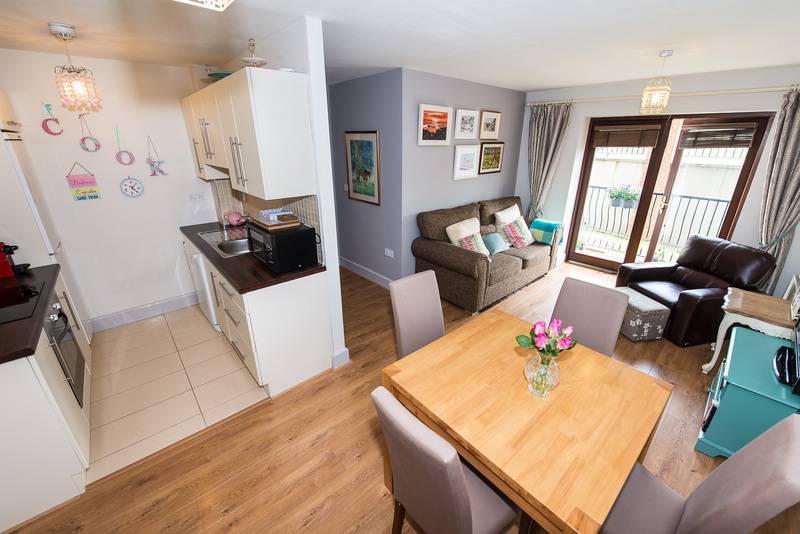 Capella Court is a modern private gated development which offers secure surface and underground parking within the landscaped grounds. The quality of construction is evident throughout the development through the use of low maintenance materials, concrete construction, partial brick facades, and high quality internal specification levels. Capella Court is set off the Moorefield Road providing immediate access to both the Town Centre and the M7/N7 Motorway at junction 12. 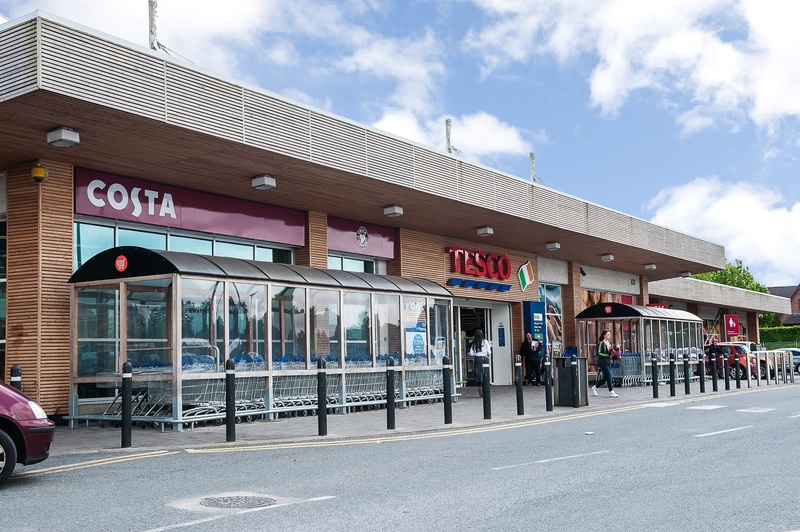 The Town Centre is within a few minutes walk and provides a huge range of excellent amenities including Whitewater, Dunnes Stores, Tesco and The Keadeen Hotel. 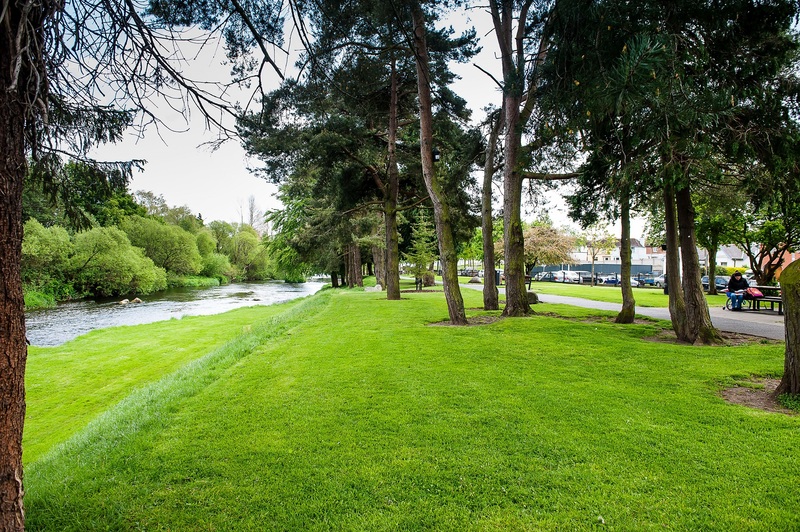 Newbridge is a vibrant town located within a commutable distance to Dublin yet within walking distance to the great open spaces that the Curragh has on offer. A variety of sporting clubs are on offer including Horse racing, GAA, soccer and rugby. 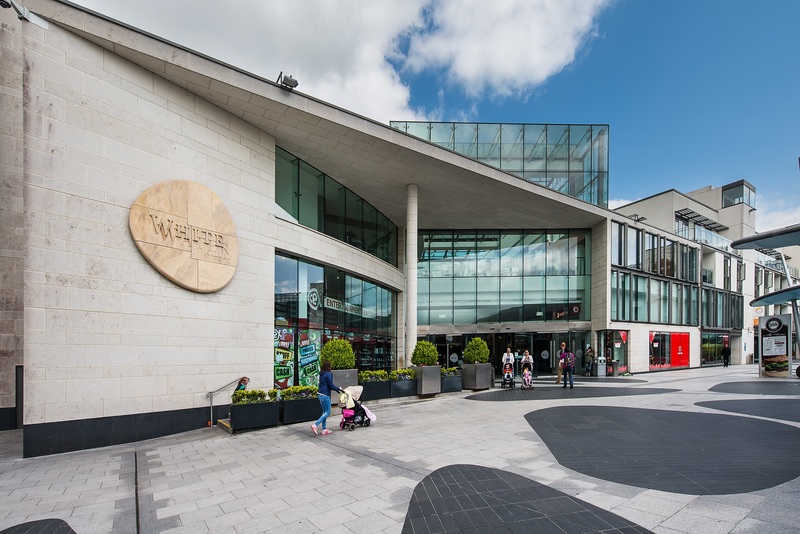 - Whitewater Shopping Centre (largest shopping centre outside Dublin). 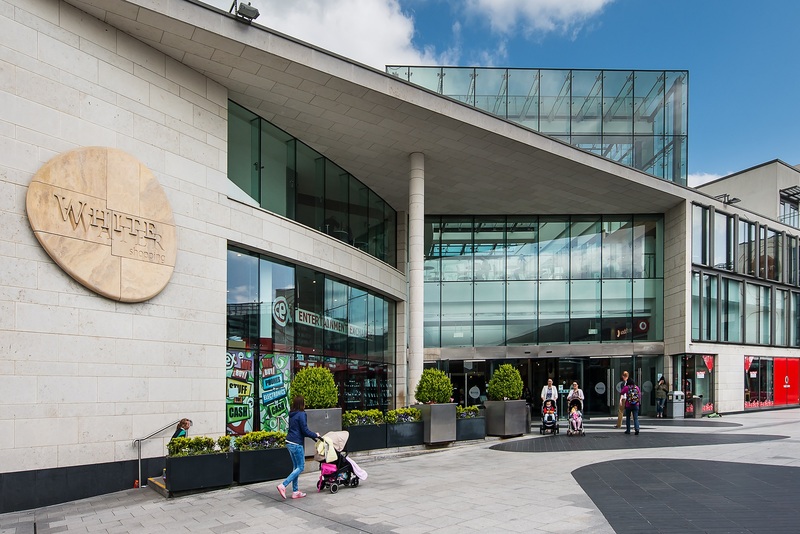 - Kildare Outlet Shopping Village, right on your doorstep. - The Riverbank Arts Centre - lively year round programme, with musical societies, drama groups and professional touring companies. - Sports centre, leisure centres, pubs and restaurants. - National heritage sites - National Stud and Japanese Gardens. 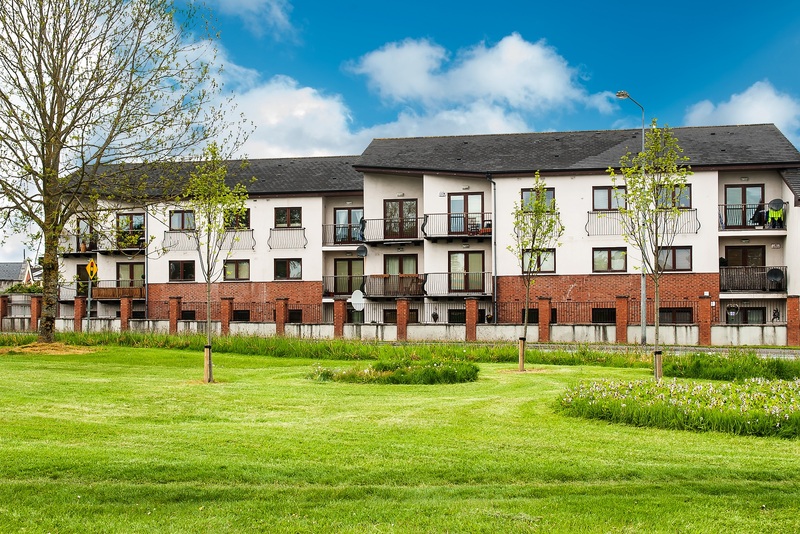 Newbridge is situated just off the M7 motorway and is within easy commuting distance of Dublin. - Commuter Rail service to Heuston Station, Dublin. 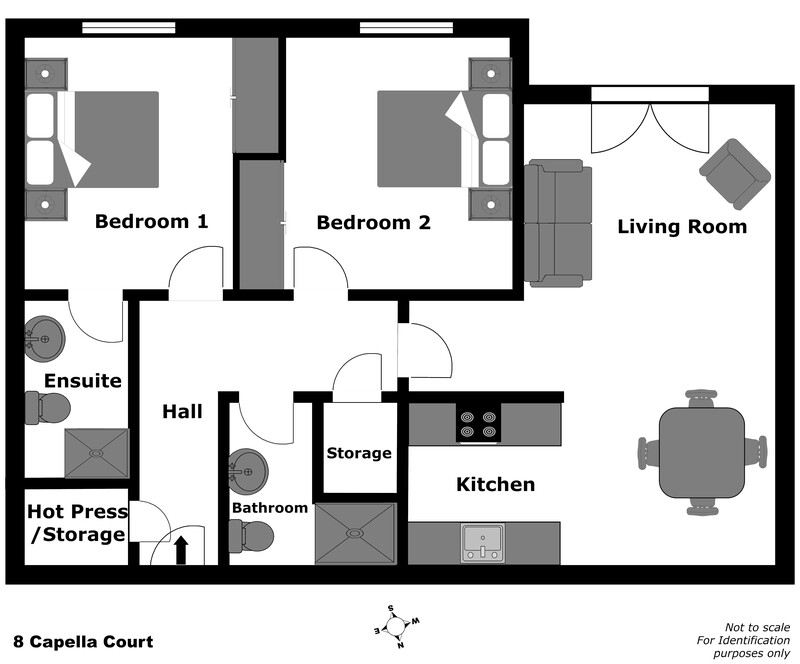 - Train station is a mere fifteen minutes walk from Capella Court. - Regular coach service to Dublin and other routes right on the doorstep of Capella Court. 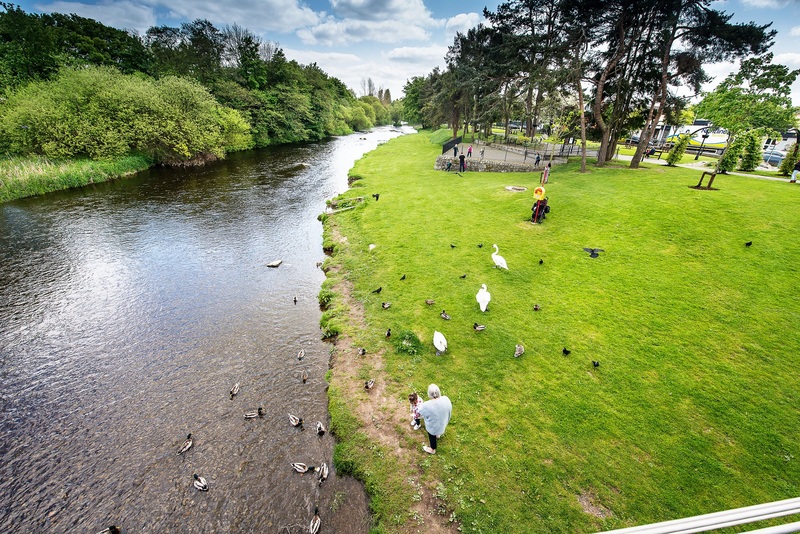 - Right in the Heart of Newbridge Town. - Set in a mature residential area. - Close to all amenities including shopping, commuter train, nightlife etc. - Walking distance to Whitewater. - Easy pedestrian access to schools and the Curragh plains. Telephone point, oak laminate timber floor, 'L' shaped entrance hall with hotpress and separate cloakroom, Grassun immersion timer. 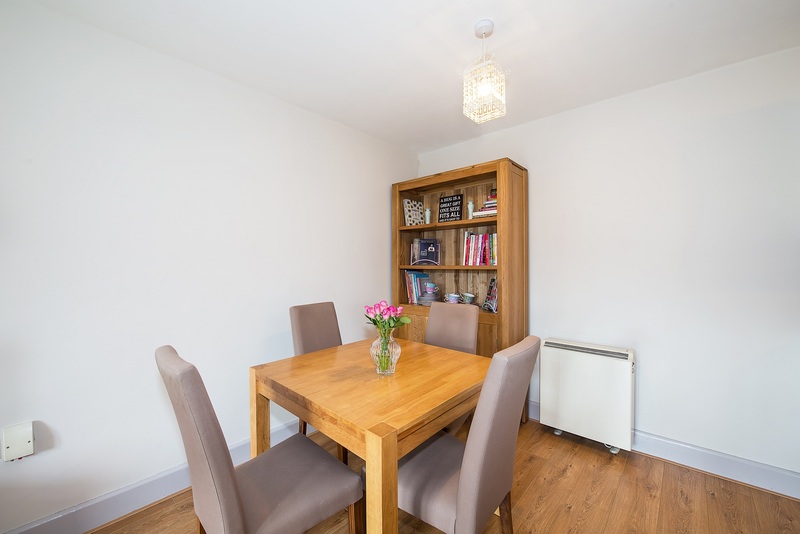 Open plan living and dining area with large French doors opening onto a sunny balcony, oak laminate timber floor throughout, tv point, 2 x dimplex storage heaters, painted in Farrow & Ball. 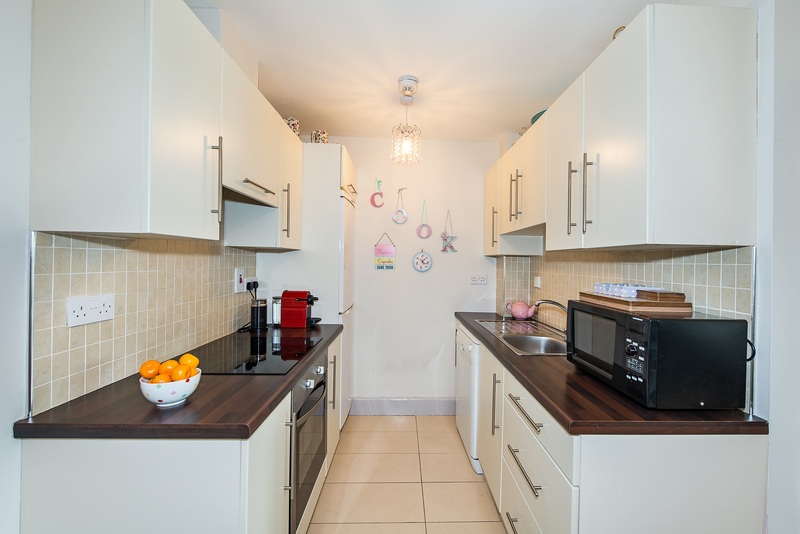 Galley style kitchen with cream fitted kitchen units including all appliances: stainless steel Luxor oven, hob & extractor fan, Finlux dishwasher and Finlux fridge freezer, wall and floor tiling, telephone point, smoke detector. 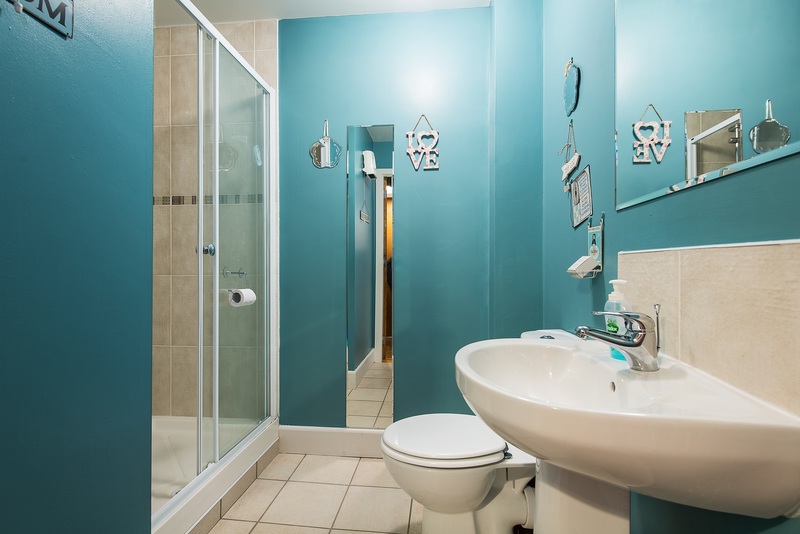 Spacious family bathroom with white sanitary ware comprising double shower unit with pumped shower, wash hand basin and wc, splash back tiling, extractor fan, Dimplex fan heater, wall and floor tiling, light fittings and chrome bathroom fittings. Double bedroom, fitted double wardrobes, carpeted, tv point, telephone point, timber blind, high quality duck egg blue curtains. 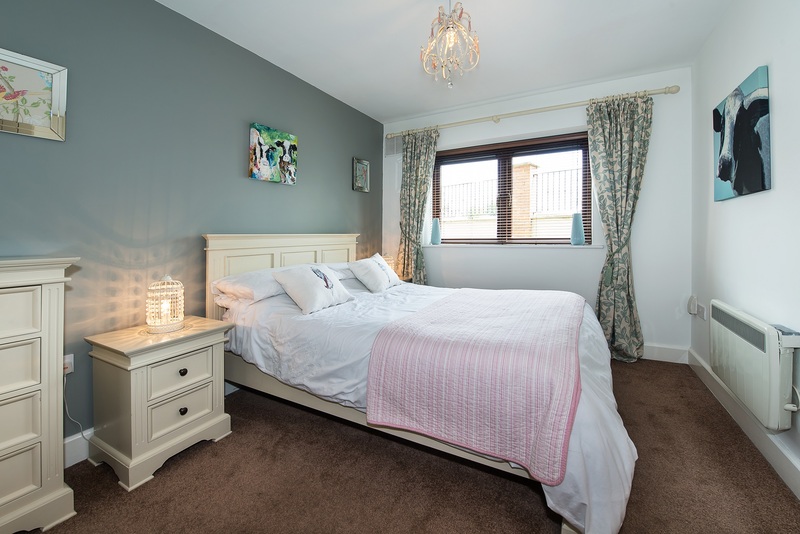 Generous sized ensuite comprising white bathroom suite with double pumped shower, whb & wc, light fitting & chrome bathroom fittings, splash back wall and floor tiling, light fitting, extractor fan and Dimplex heater. 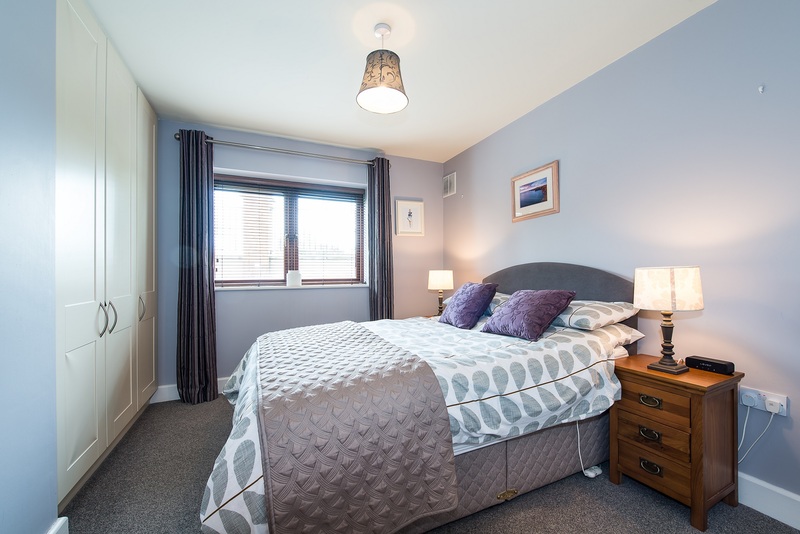 Double bedroom, cream fitted wardrobes, carpeted, telephone point, tv point, timber blinds, curtain and chrome curtain pole. 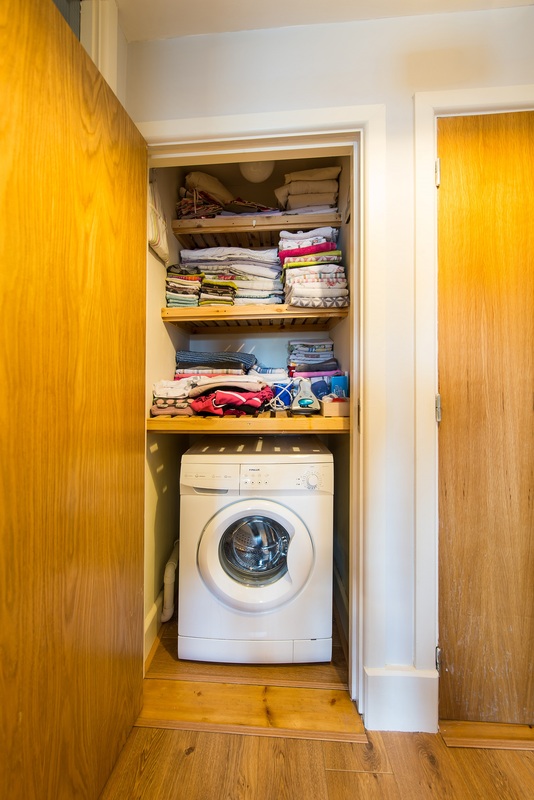 Hotpress: Finlax washing machine included, three timber shelves, excellent storage. Storage: Watertank and pressurised water pump. - 2 double bedrooms and 2 bathrooms. - Small private gated development close to town centre. - Lifts serving all floors with a maximum of only 3 units per core floor. - Fitted high quality cream kitchen and all appliances included. 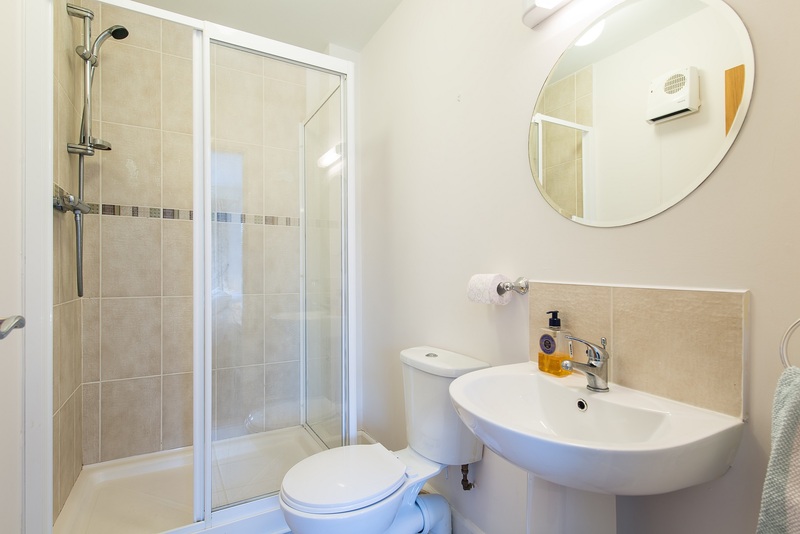 - Extensive tiled areas including kitchen, bathroom and ensuite flooring. - Tiled splash-back in kitchen, bathroom and ensuite wall tiling. - Quality fitted cream wardrobes in both bedrooms. - White sanitary ware in bathroom and ensuite. - Pumped showers providing good water pressure. - Dimplex electric storage heating system. - Wired for TV, internet and alarm. - Double glazed timber windows. - Attractive tiled lobbies in all cores. - Lower maintenance exterior construction. - Secure electric entrance gates. - Allocated car parking space included underground. - Intercom system to gate and apartment black door. 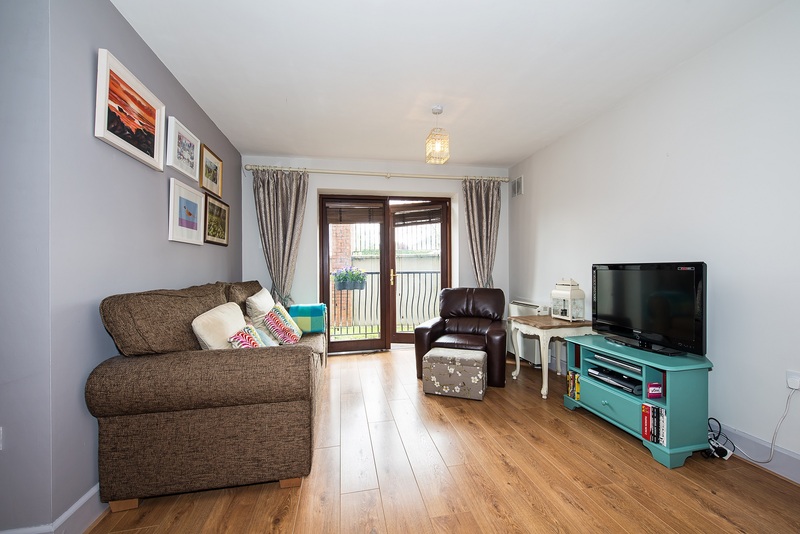 - Close to Newbridge town centre & Whitewater. 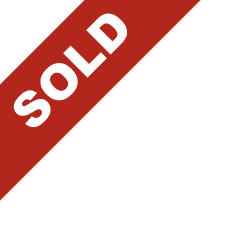 - Sale to include all kitchen appliances. - Sale to include all curtains, carpets and light fittings. - Ideal starter home or excellent investment. Private electronic entrance gates to Capella Court are just off Langton Road at McLoughlin Service Station at Ballymany. Past the Keadeen Hotel. Parking Space: 1 designated space underground, visitor parking also available. Management Company: Capella Court Management Company Ltd.
Management Agent: Falconale Properties Ltd.